No matter if you are single or in a relationship, you need to dress up for the upcoming valentine day! If you are going to have a nice party, it's even better for you to dress lovely. 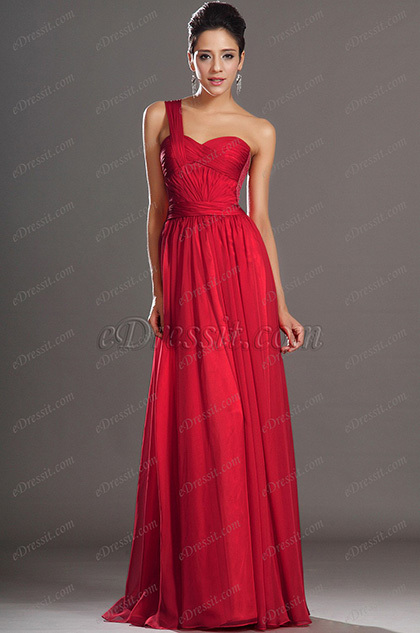 Today I would like to recommend girls five simple elegant red valentine dresses, the price is as romantic as the Day. 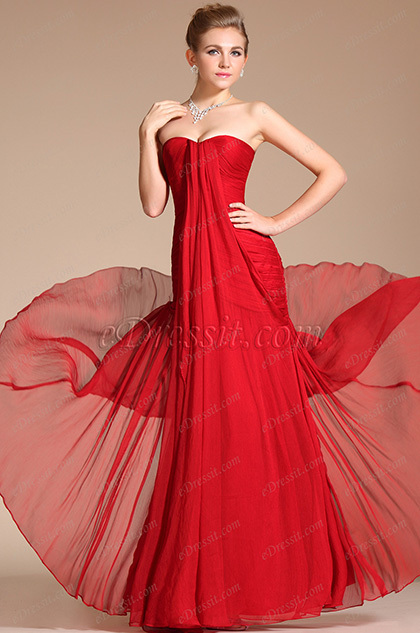 The flowing skirt would be perfect to dance nightaway. Simple elegant style is great for any stylish occasion! Semi-sweetheart neckline with one shoulder style! A line silhouette is easy to wear for all body types! This one is the most classic and popular from eDressit. It can be worn to multiple occasions as party dress, prom dress or even bridesmaid dress. The satin band helps to create a cinched waistline. This is a no-miss dress. 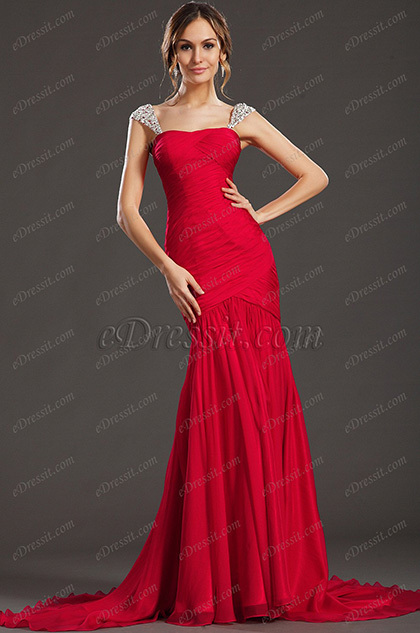 The beaded shoulders will definitely give you a stunning look and be eye-catchy all night. Pleated bodice flatters your figure and wrapes your body in all the right places. This one is the top seller from eDressit, you really cannot miss out! 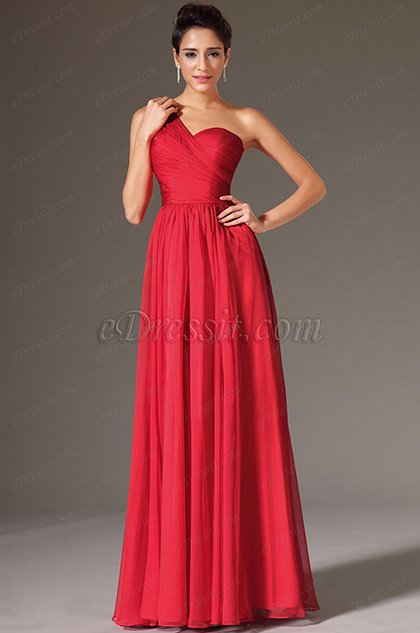 This lovely red dress features beautiful pleats on the bodice. The elegant look will help you to attract eyes at the party! Sale ends on Jan.25, don't miss out!